Lock play a major role in controlling the access to any house or office. Locks always provide assurance that your house, valuables, and other belongings are safe and secure when you are away from your house. But such locks can also be the victim to any unexpected break-in or intruder. Yes, imagine you have shifted to a new apartment. Don’t you feel that the home security is a question if your previous tenant has given the duplicate keys to anyone? Yes, it could have happened. So what are you planning to do? Replace locks? But think twice if you can afford to replace the locks amidst your shifting and new home expenses. But still, you can stop any stranger from accessing your house just by rekeying the locks. Get helps from professional locksmith agency such as Master Locksmith Store to re-key locks as soon as possible. How are rekeying locks achieved? If you wish to re-key locks, call Master Locksmith Store and our experts with arriving in minutes to your home. We will start by analyzing the condition of the locks to know if it can be rekeyed. If your lock is in good condition, then we remove the locks, change the tumblers of the cylinder and replace it with tumblers of varied sizes. Now the old keys cannot open the locks and a new set of keys that suits the new tumblers is required. There are certain exploratory people who wish to do everything by themselves from simple house repairs, plumbing issues to small electrical problems. Though at times, they may give a good result, there are chances of the repair going very worse as well. But in the case of the lock, you cannot take chances as it may claim a huge loss. So it is better to hire a professional locksmith firm such as Master Locksmith Store to re-key locks for your home. 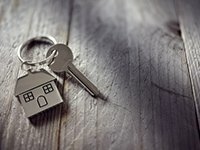 Lock and key repair always require immediate attention and hence we provide 24/7 emergency locksmith service to people in Denver, CO area. We have a fleet of mobile locksmith van that will reach you on the spot with all required equipment to get the job done right there. 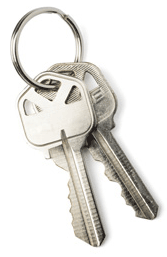 If you want to re-key locks and are in Denver, CO area, ring us up on 303-729-2390!